Memorandum concerning feeding Pig When you begin to feed your Pig boil only a little more than a Peck of [pot?] at once least its food shou'd grew sour. 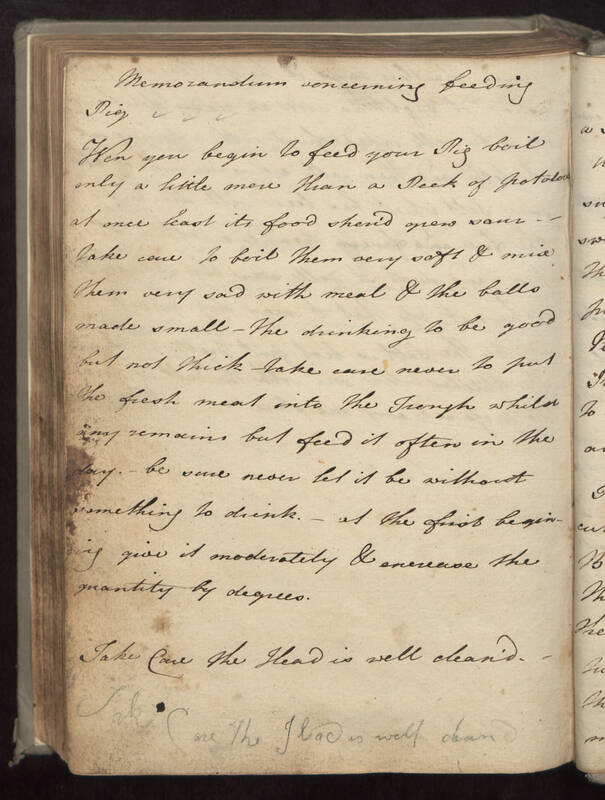 - Take care to boil Them very soft & mix Then very sad with meal & The balls made small - The drinking to be good but not thick - take care never to put the fresh meat into the Trouph whilst any remains but feed it often in teh day. - be sure never let it be without something to drink. - at the first beginning give it moderately & increase the quantity by degrees. Take Care the Head is well clean'd.